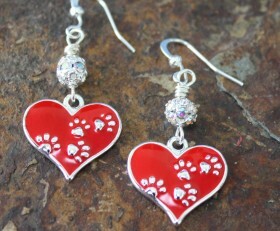 Beautiful red hears with paw prints. The back of the charm is silver with heart prints. They are accented by a Swarovski pave bead. 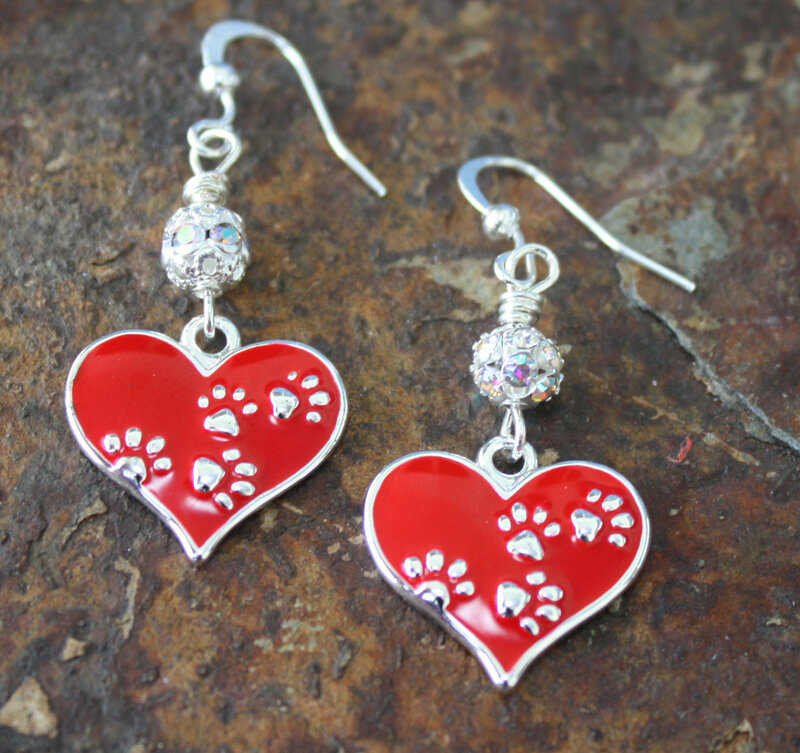 Categories: Animals, Dog Earrings, Dog Lovers Jewelry, Valentines Day.